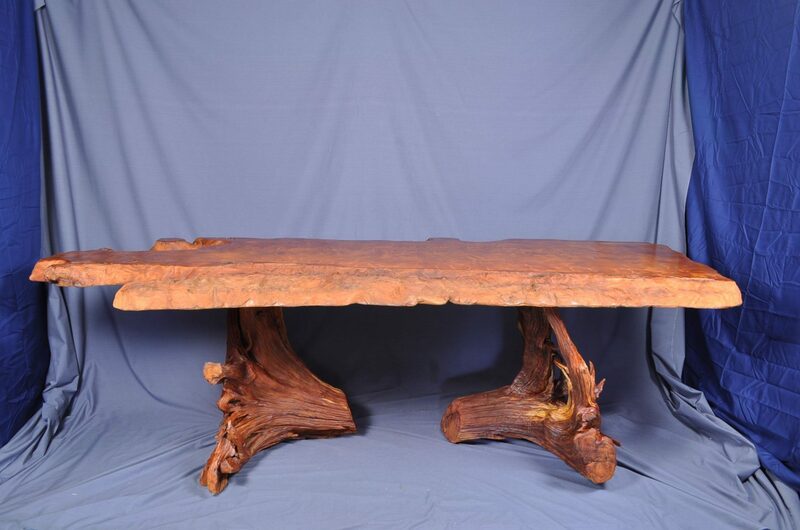 Marilla had originally commissioned me in 2011 to create a large redwood burl coffee table for her home in Rhode Island. 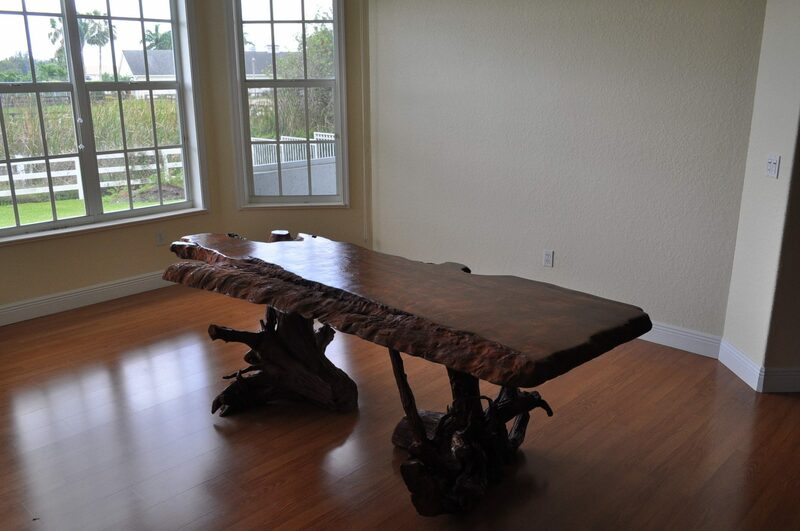 She has a great appreciation for artistic wood furniture so when she was furnishing her winter home in Wellington, Florida she asked me if I could come up with a piece for this room that could be occasionally used for dining. 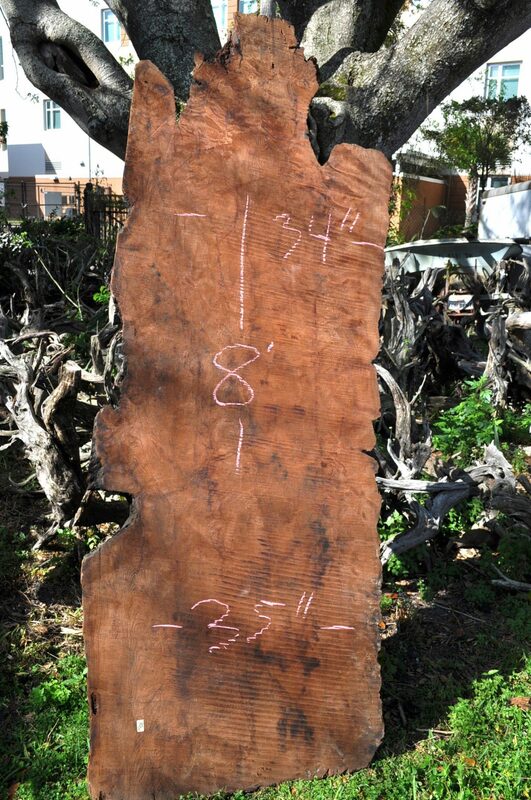 I happened to have a large redwood slab that was rectangle but yet still had live edges. I knew that she really liked the look of the red cedar driftwood stumps, so I picked out 2 nice ones that I normally would turn into coffee tables. 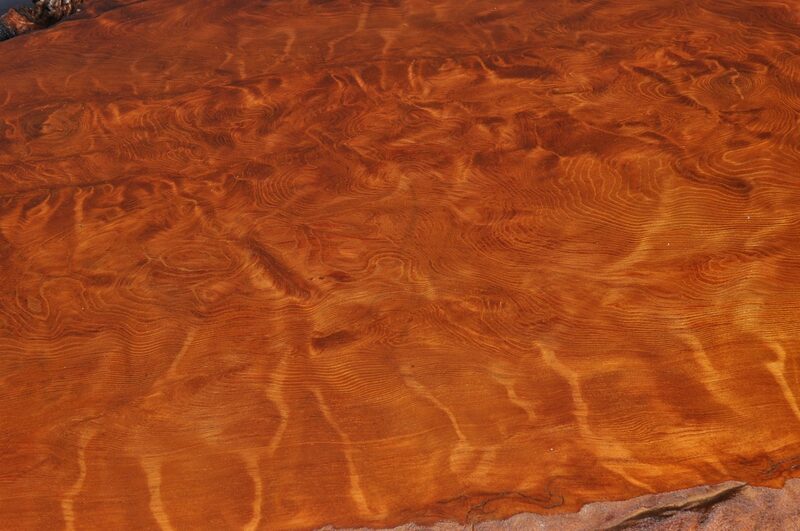 Once I applied the lacquer finish, the beautiful burl really came alive. Rather than build the crates & ship the table Nikki & I decided to drive down to Wellington & personally deliver the table. Wellington is just west of Palm Beach & is known as a community for horse lovers. We even passed a polo match as we drove in & as we found out Marilla had a stable behind her home for her own horses. She & her horses are back in Providence but she already has another project for me when she returns in the fall.